Thank you everyone so much for coming out and supporting our movie night at a screening of the action thriller American Assassin. 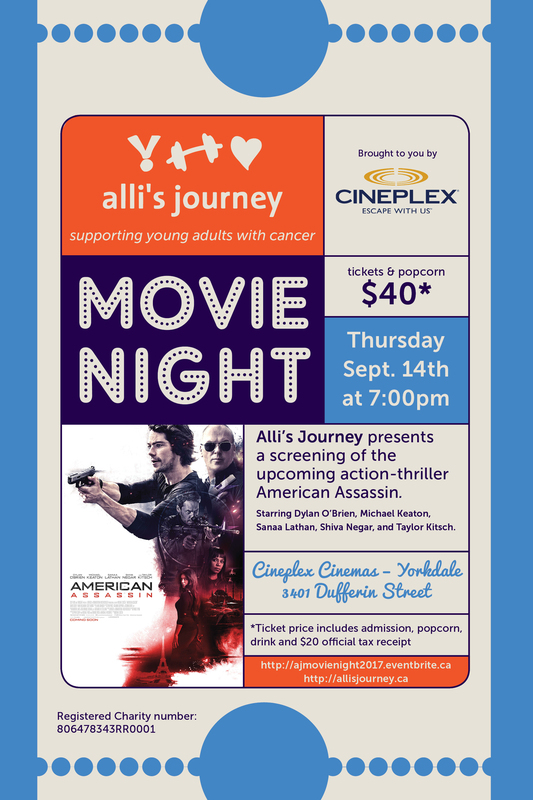 Not only were people on the edge of their seats for the film, they also helped Alli’s Journey raise $3,000 to support young adults with cancer. This money will go towards supporting our important Comfort Bags program. This is in addition to the 100 Comfort Bags donated this year alone! We distribute Comfort Bags through partners like Gilda’s Club and Princess Margaret Hospital to get into the hands of young adults undergoing cancer treatment. Follow us on Facebook to stay tuned for our next, exciting event.